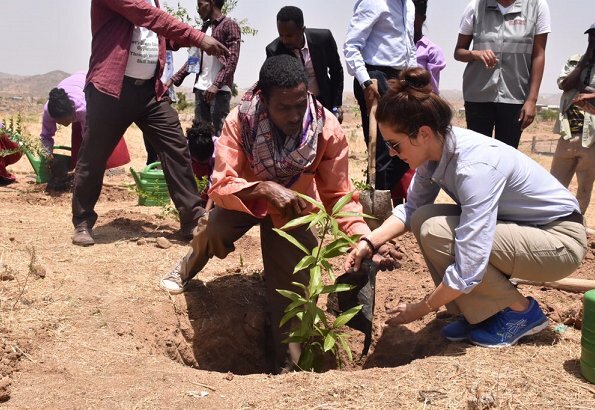 Danish Crown Princess Mary visited Ethiopia in order to see on site the activities carried out for SDG5 (Sustainable Development Goal 5). 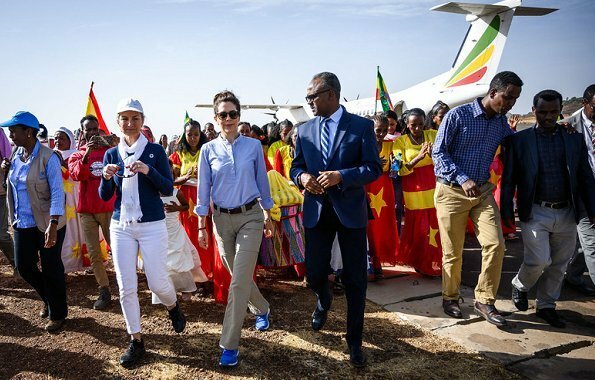 On March 27, Wednesday, The Crown Princess arrived in Shire city in Tigray region where the largest refugee population in Ethiopia resides. At the refugee camp, The Crown Princess visited a local high school (9th grade, 10th grade). The school was established in 2016 with the contributions of Danish Refugee Council. The Crown Princess planted a tree with Minister of Development in front of the school. The Crown Princess then visited a house which provides protection for unaccompanied children in refugee camps in Tigray. 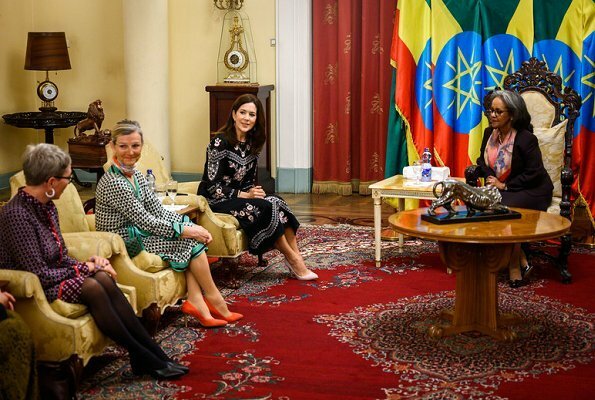 In the evening, Crown Princess Mary attended a dinner hosted by President of Ethiopia Sahle-Work Zewde. 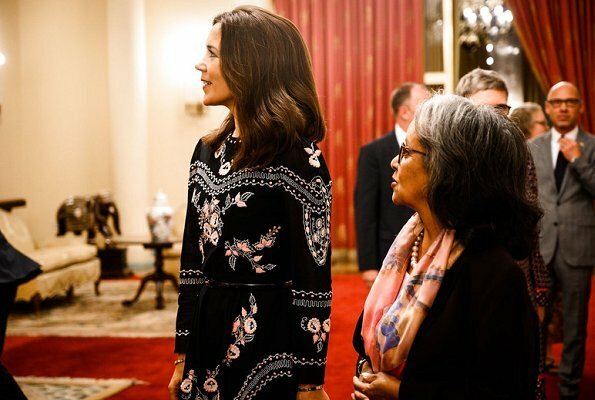 At the dinner, The Crown Princess wore a floral embroidered midi dress by Vilshenko. The first look is casual and relaxed. The second look is classic Mary. Very elegant and fabulously fitted. Mary always looks good. If casual or in Gala. Also like her blue shoes. I really like her hair styled like this. Both outfits look great on her. Casual, yet professional.